April is here and what a month it has been. Here in Manchester i am sure we have had every season in the space of a week! At least Treasure Tress is here to put a smile on our faces and make wash days a breeze. This months box was a mixture of brands some i have heard of and used before, and some that i haven't. When i opened my box and saw more Palmer's products, i worried. If you have seen my product haul post from last week (here) you will know that i have tried a few from this brand, and haven't been blown away by them. I saw another curly girl do a post on her box and she didn't really have great things to say about this range from them either, so i was sceptical. "Refreshes and stimulates scalp for healthy hair growth"
My mind has been completely changed! The first thing i did with this product as i do with anything, is to smell it. IT SMELLS LIKE MINT CHOCOLATE! This range is a mix of the cocoa butter formula that they are famous for, with a blend of peppermint oil which gives it the most amazing smell. If you didn't know already, peppermint oil is one of the best for stimulating growth from the roots and is one of my fave oils. Sulfate free as an added bonus. The first use of this i knew i was going to like it. It lathers so well and my hair felt really soft. The way it left my hair smelling just made the wash experience amazing. Rinsing it out, before adding conditioner, and my hair didn't have that stripped feeling that some shampoos leave me with. Would i buy this product? YES! This range just might be my favourite from the brand. 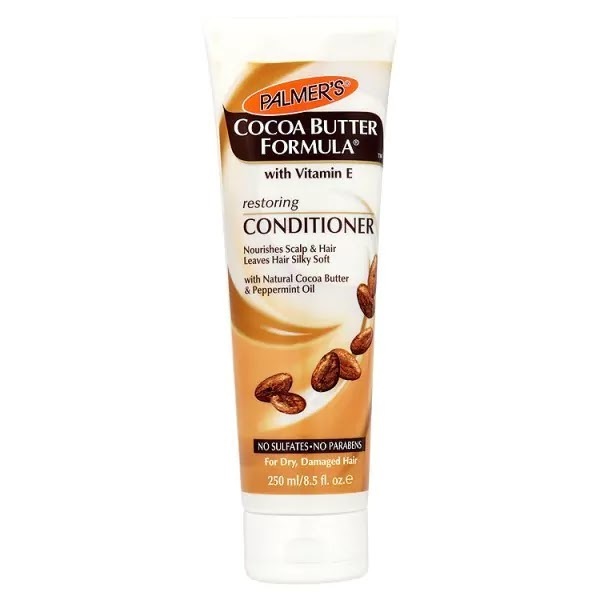 As with the shampoo, this conditioner by Palmer's is with peppermint oil and the famous cocoa butter formula. It smells more cocoa butter, less peppermint than the shampoo which means there is perhaps a little less of it in here. This is fine however because peppermint oil is all for the scalp and conditioner does not go on this area. "Nourishes Scalp & Hair, leaves hair silky soft." A round of applause for Palmer's on this range! It does exactly what it says on the bottle. My hair felt super smooth and soft and smelt amazing. I remember at first worrying that the smell may be overpowering for a wash product, but i needn't have worried. It wasn't as strong as it is when it comes out the bottle, but lingers nicely. My hair was silky soft as promised. After using this shampoo and conditioner i came out the bathroom and said to my fiance "smell my hair just omg just smell my hair" i was that in love with it. He felt it and smelt it and said that it felt really soft and smelt edible. I would say that my hair was more hydrated for a while after using this. I am on day 3 right now and my hair is still feeling soft. Would i buy this product? YES. This set is a winner for me. Well done Palmer's. Activilong is a brand which is new to me. I haven't heard much about them on social media or seen it in any stores in the UK yet so i didn't know what to expect from them. It contains Castor oil and is free from all the nastiest like silicones and parabens. Being a product i have never used before i had to read the instructions on this and was happy to see that this one states it can be applied on both dry and wet hair. If you follow my blog you'll remember me mentioning before that there aren't enough products which work on dry hair, and sometimes i don't want to have to dampen my hair everyday just to apply products. Being able to work on dry hair, means that this must be very hydrating right? Yes. I found just one fault with this product, and that is the pump bottle. For me i just prefer tubs. The product itself works really well and mixed well with other products applied afterwards. I found i didn't need to touch my hair the day after styling and when i used it 2 days later on dry hair to style my bangs, the curls sprung to life and soaked it all up really well. It is non greasy and doesn't have much of a fragrance. Would i buy this again? Yes actually. I think i will be trying some more from them too. Looking on their website they seem very reasonably priced too. I have seen this one around on instagram, but have never tried it before now. I love oils for scalp massages and sealants so i was excited about this one. "Stimulate circulation to the scalp & follicles. Strengthen roots & promote healthy, thick hair growth. 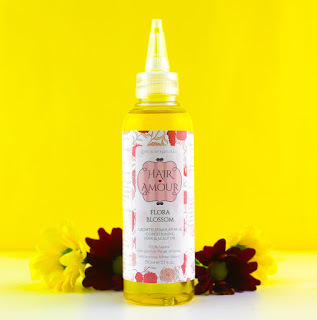 Penetrate the hair and seal in moisture & add sheen for nourished, smooth & soft locks. Strengthen & smooth hair shaft to improve manageability & allow easy detangling. 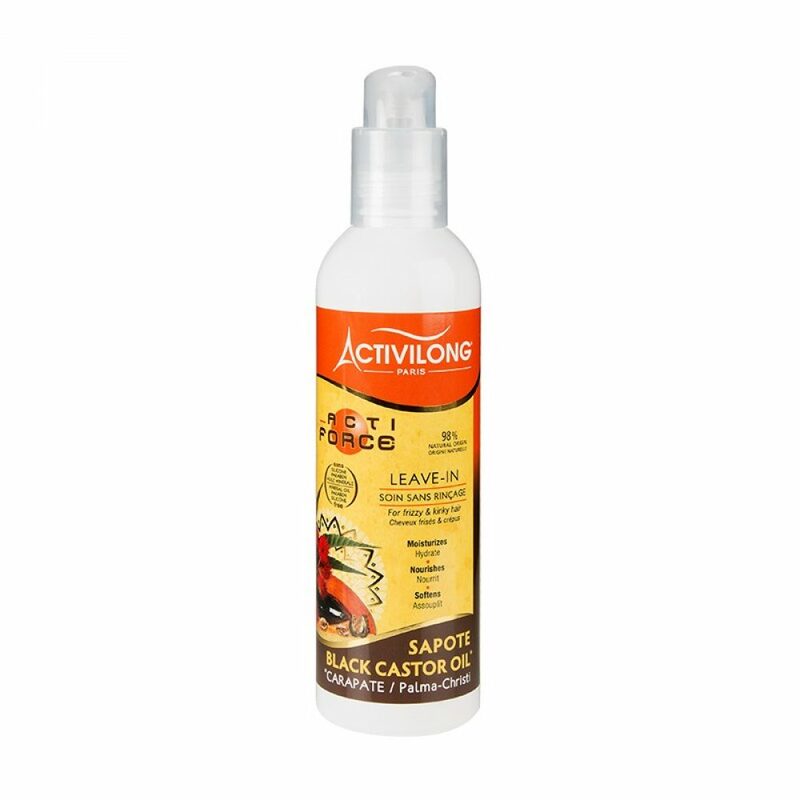 Protect and seal ends to prevent dry, brittle hair. Penetrate & condition the scalp to combat dry scalp and dandruff. Refreshing & stimulating scent." Woah! This bottle promises to have so many uses and to do so much! It has a blend of so many great oils such as almond oil, Castor oil, jojoba oil and more. We all know that i LOVE a good scalp massage. I do them 2-3 times a week and they are crucial in hair growth. Having a new one to play with just as others are running low is exciting. This one has a different smell than my other oils, similar yet different. It has a floral smell as well which is perfect for the spring. 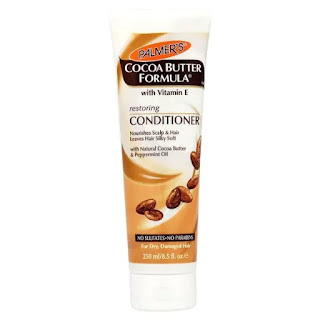 I used this as a sealant and it held in the moisture really well without being too greasy and heavy on my hair. Would i buy this product? I have to use it a few more times to make my mind up completely, but so far so good. Treasure Tress love to give us little extras and bonus products in our boxes. Sometimes hair related and sometimes not. 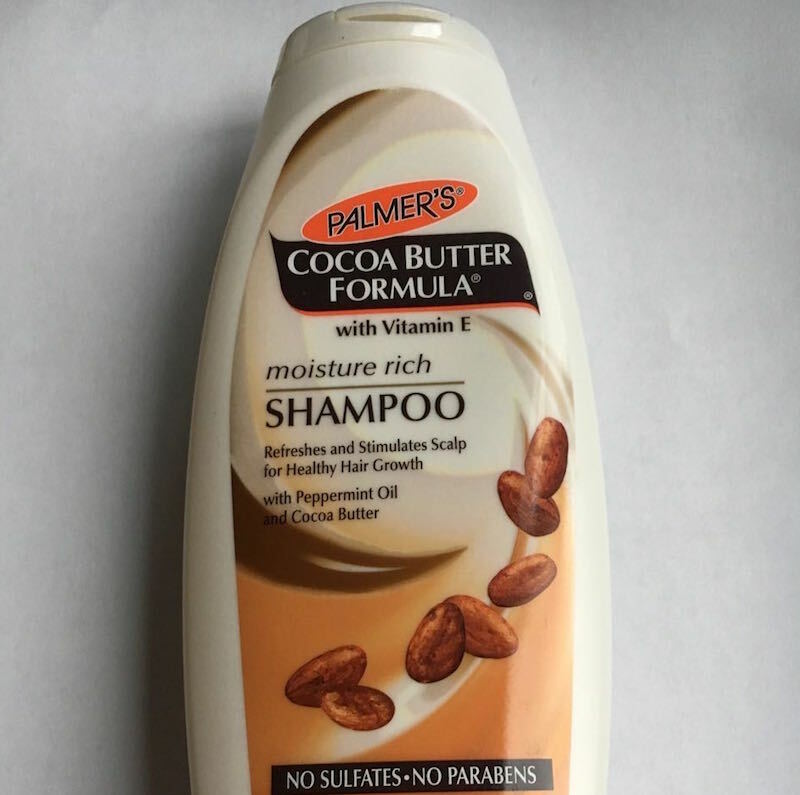 Once again they have given us a Palmer's cocoa butter skincare product. 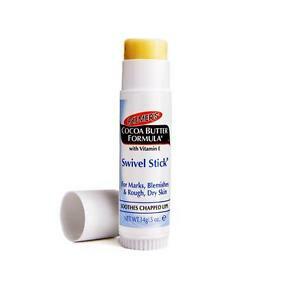 In previous boxes we have gotten face masks and flip balms, and now we have this wonderful little swivel stick. This can be used on any dry skin areas from elbows, face to lips and is perfect size to fit in your pocket! With the rapid changes in weather lately, this has saved my skin so many times. Getting your hands on one of these boxes is simple and easy and isn't going to break the bank. All you have to do is log on to www.treasuretress.co.uk choose the box you want (yes there are 3 depending on your age from kids to teens to queens!) and then sit back and wait for your delivery. Treasure tress brings you a wonderful box once a month filled with the hottest hair care products for your natural hair. Boxes cost just £20 a month (+p&p). Even better if you use the code "CANDI10" at the checkout, you can save yourself money on your first box.